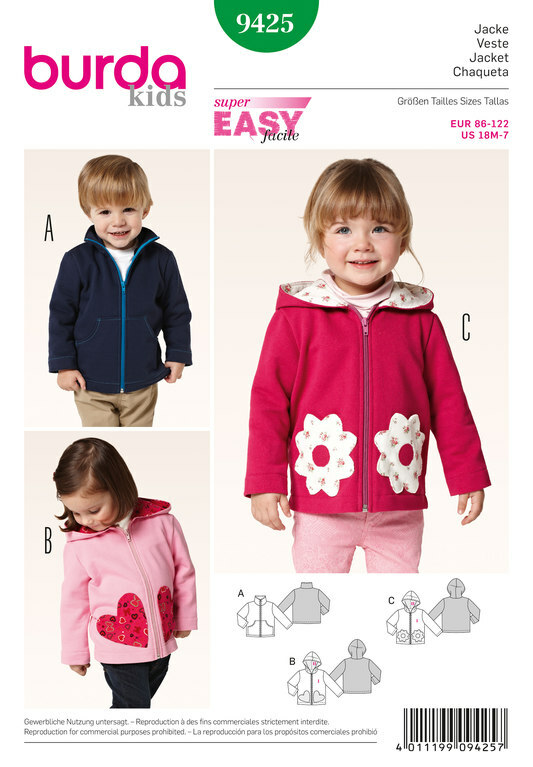 Three smart jackets, alternatively with standing collar or hood. Boys will love variant A with the functional slant pockets. 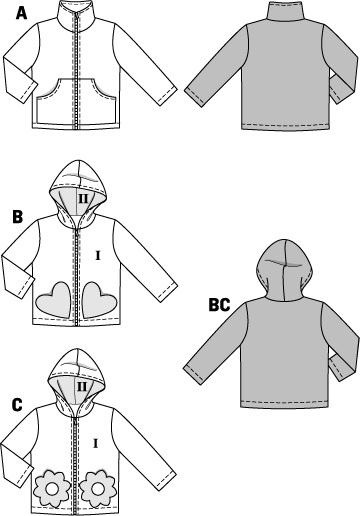 Variants B and C for girls have decorative pockets in the shape of flowers or hearts.